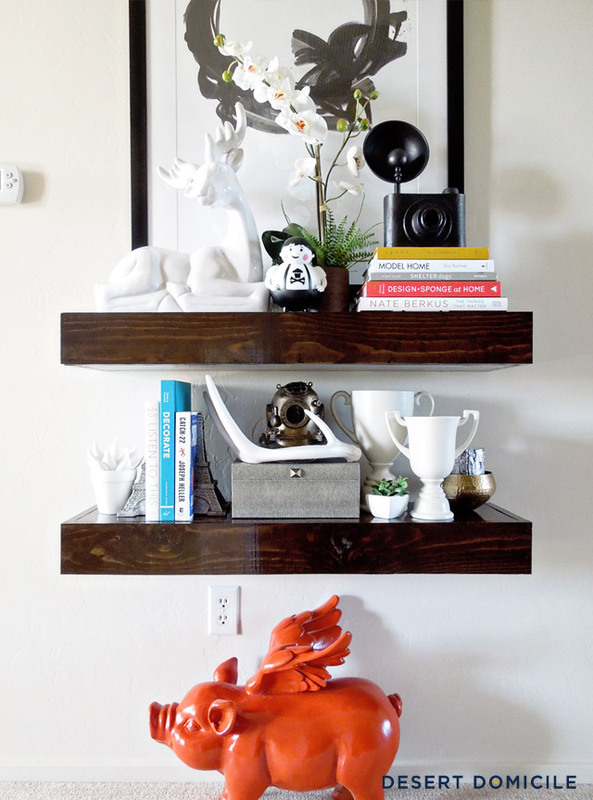 The above site includes a DIY for making those beautiful chunky shelves. Love the styling on these shelves as well. 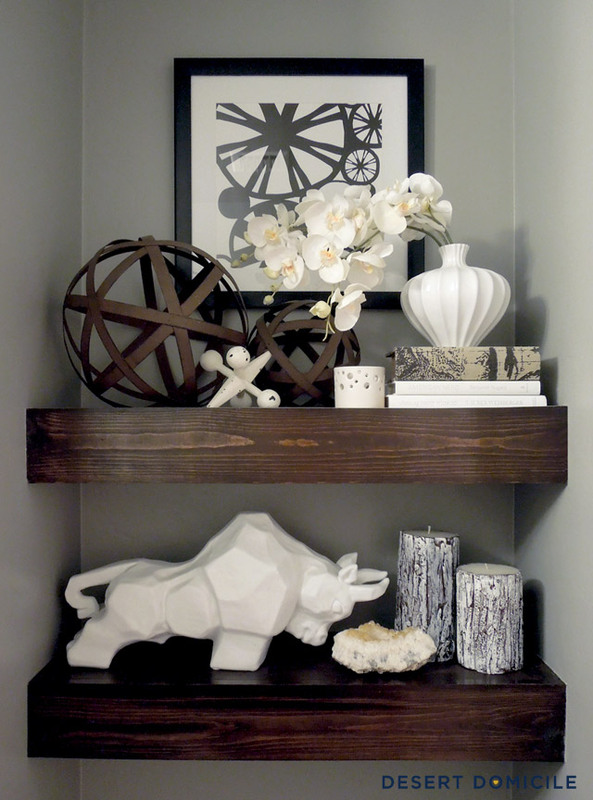 Same source, another great styling/use of floating shelves. I love how this has feminine aspects, but is balanced by the metal orbs, and the bull. 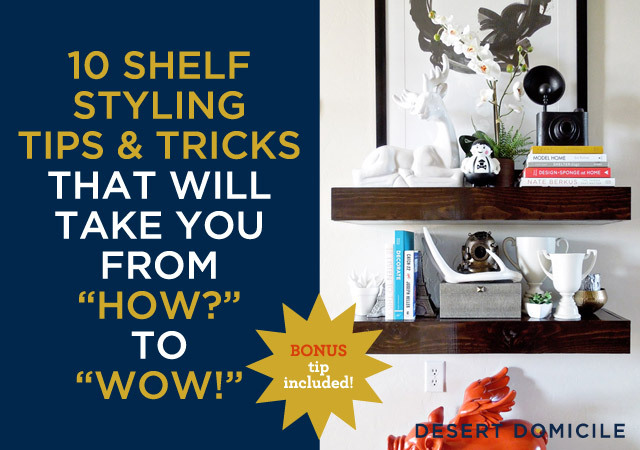 And since Caitlin from Desert Domicile is so great at styling these shelves, here's a little how to. Now I just have to narrow down how I will use this in our house. 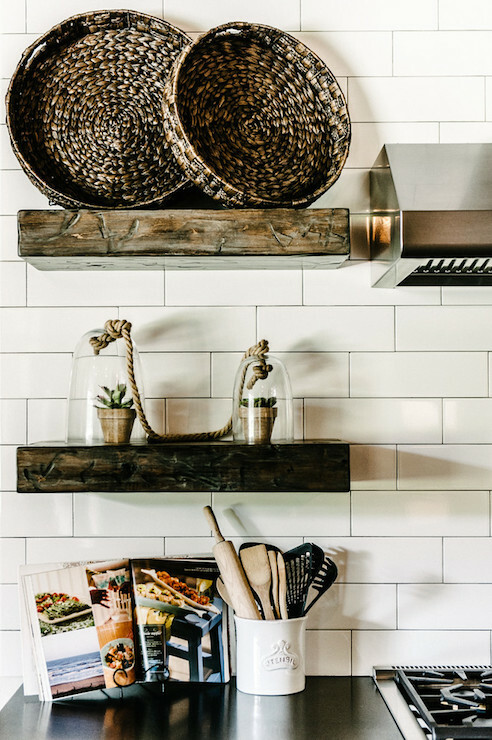 What do you think of floating shelves? Have you used them in your house? 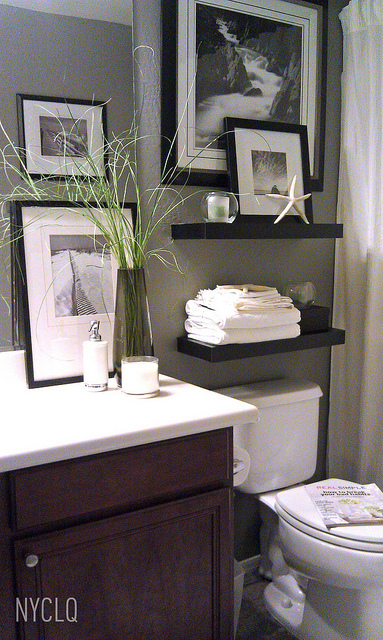 Floating shelves are great, they add a really clean look!